As a mother, it’s rare to see me drinking now. I certainly can’t afford a hangover when Athena wakes up by 6 am every day. Social drinking use to be a big part of my life though, espeically during the holidays. My family loved getting toegther on Christmas Eve and New Year’s Eve with music, alcohol, playing cards, and singing. We didn’t need alcohol to have fun but we never pushed the limits too far and it always made for a great laugh. I found a party-friendly Christmas gift that reminded me of all the great holiday parties we had together as a family and I wanted to share it with you. 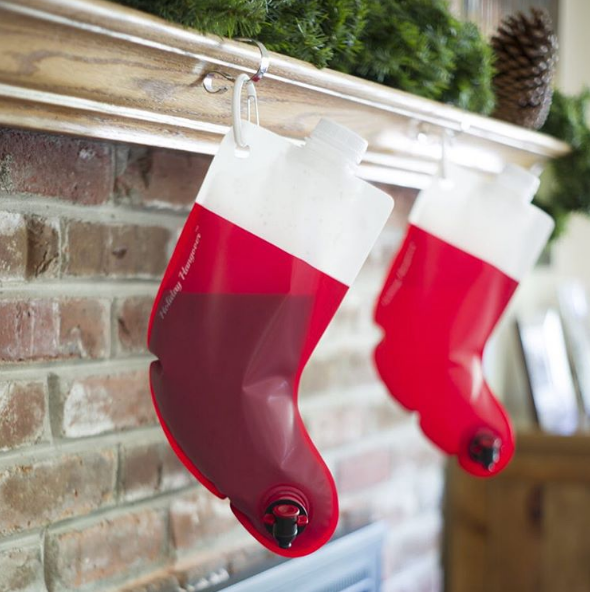 It’s called Santa’s Flasks and it really puts the spirits in the season. They are super cute stockings that can be filled with whatever you’d like. 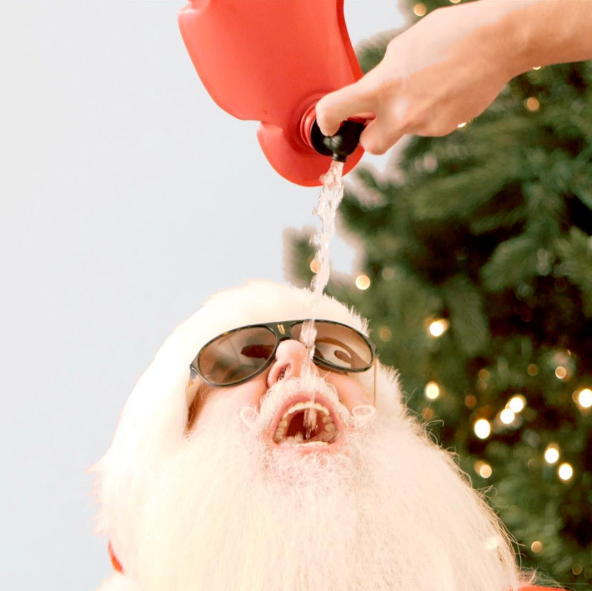 For adult holiday parties, I can’t wait to fill mine up with wine, beer, or even Fireball. The opening is large enough that you can add ice and all you do is fill, pour, and party. For a more child-friendly holiday event, you can fill them up with apple juice or fruit punch. I have a Holiday party event this year and I’m going to bring Santa’s Flasks for a Secret Santa. Even if the recipient doesn’t drink, they can put a non-alcoholic beverage in and enjoy with friends. It looks festive on a mantle or clipped to the counter. I’ve been thinking about ways to bring the holiday spirit back into our lives as adults. The magic of the season should never be lost regardless of age. Santa’s Flasks are just the beginning of a spirit filled season for my family. We’re going all out this year. My decorations are already up and I’m ready to celebrate.